Founded in 1998, the first store was opened in Kitsilano Vancouver. Growing rapidly, the Company now operates from approximately 201 stores situated in North America, Australia, New Zealand, Hong Kong and Great Britain. The Company is known not only for its clothing but also its marketing techniques – It is reported that the Founder Chip Wilson was inspired to name the Company ‘Lululemon’ because of Japanese peoples’ inability to pronounce the letter ‘L’ and the extra effort they would have to make to pronounce the name would work as a marketing tool in that Country!!! At a store opening in 2002, a naked pass competition was organised, offering free yoga wear to participants that bared all – I hope the store was in a warmer climate than the Axess 2 head office base, Lancashire!!! Lululemon opened its first European shop in Covenant Garden in April 2014, where famous fans turned out to view their new range. The Company later opened two further stores in Islington and Richmond and now, the latest addition to the chain is under construction in Kings Road, Chelsea. 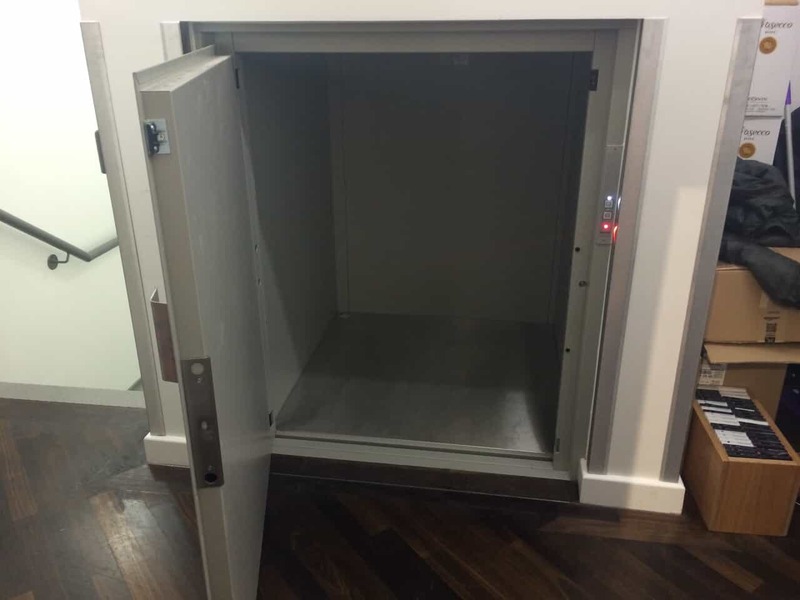 For the new store, Axess 2 were chosen by Esprit UK Ltd, the main contractor, to come up with the perfect lift to aid the staff in moving stock from the basement to the upper floor. As with quite a few of the traditional properties in and around the area, there were a few building requirements that had to be met, included the need for a low pit lift option. Axess 2 were able to provide the ideal solution with a 1000 x 1000 x 1375 mm Trolley Goods Lift, capable of moving loads of up to 300kg. Axess 2 were asked to work to an extremely tight deadline and managed a quick turnaround of 6 weeks from order to installation! The Trolley lift was specified as a single entry configuration and operates at a speed of 0.17m/s over a distance of 3000mm. 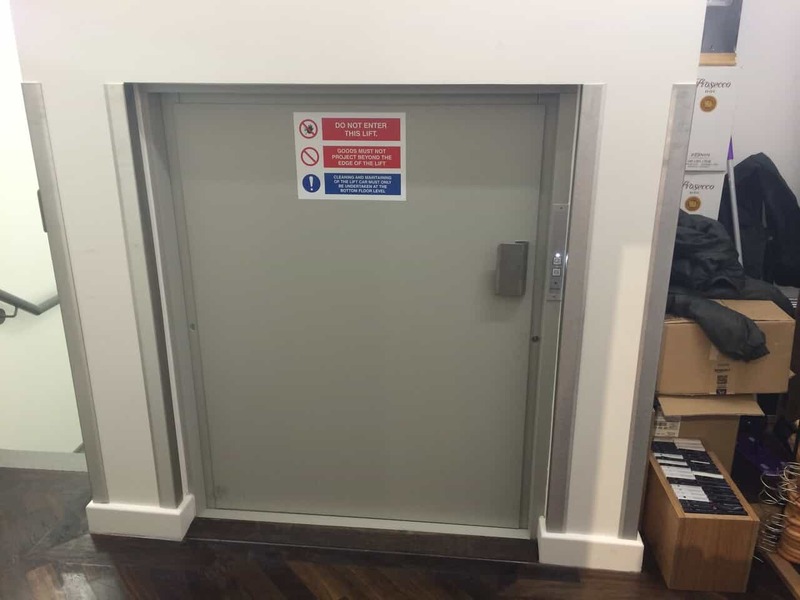 The lift is fully automatic with call and send buttons at each landing entrance and finished in tough, grey baked enamel. Right hand hinged doors ensure easy entrance and exit of the trollies on both floors. With fans such as Kim Kardashian, Rosie Huntington-Whitely and Cameron Diaz to name but a few, the Lululemon Athletica brand is proving very popular in the UK, and we’re sure the Axess 2 Trolley Lift will be put through its paces by this Yoga Inspired Athletic Apparel Company.